To celebrate the occasion, I combined Nutella with one of my favourite cookies – shortbread! 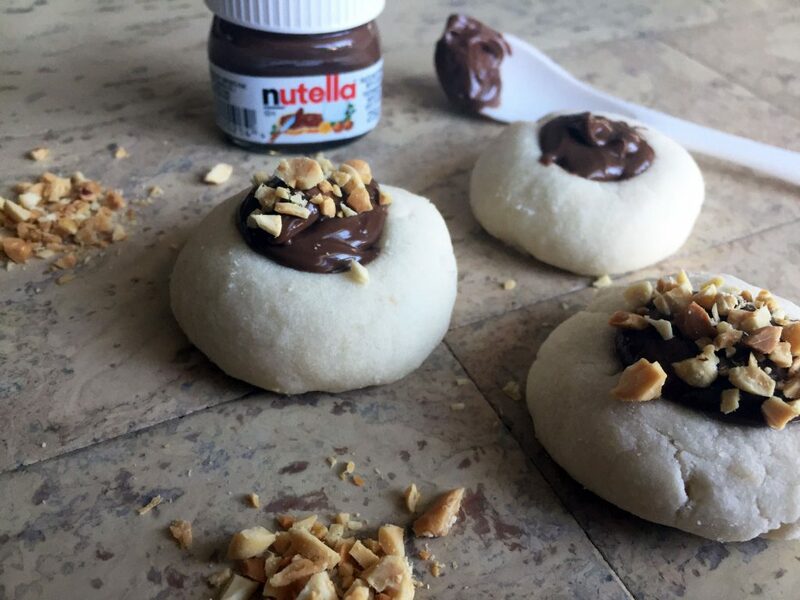 The dough was formed into thumbprints making it the perfect vessel to hold a spoonful of Nutella. Make this buttery creation even more delectable with a sprinkle of chopped nuts! Want some more ways to celebrate with Nutella? Check out this Pinterest board! Beat the butter and the icing sugar. Combine the flour until well mixed. Roll the dough into balls and make a little indentation using a teaspoon measure. Remove the cookies and reinforce the indentation. Once cooled, fill the cookies with Nutella and sprinkle with chopped nuts (if desired).